The tote bag is the ultimate carry-all of the handbag industry. Second only to the shopper in its ability to provide fans with unmitigated space, the tote bag is the ideal accessory for women who cannot part with half the contents of their makeup drawer. Water bottles, magazines, and endless stuff can all be tossed into your friendly tote, and LoveToKnow Handbags is busily amassing as much information as possible about these little handbag blessings. From classic canvas to contemporary patterns and prints, there are thousands of tote bag styles to choose from. Tote bags are an essential for women. These roomy bags can store just about anything, and can be used for work and play. Totes are also perfect for every season, from a winter repository for your gloves to a summer stashing place for your beach basics. Moreover, even diaper bags, whether of designer or unrecognizable origins, are included within this category, so be sure to drop by the Totes section for more information regarding that Coach diaper bag. 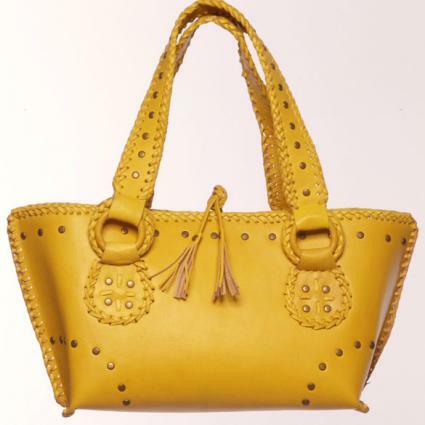 You'll also find information on many larger bag styles, such as executive bags, men's carry alls, and beach bags. In addition, we also cover specialty styles, like oilcloth totes, luxury totes, and monogrammed totes. Read all about Coach totes, designer totes, types of totes, and the fashion potential of totes as LoveToKnow Handbags takes you through a guided tour of the tote bag!